Typograpics is a board game that marries Pictionary with letterforms. 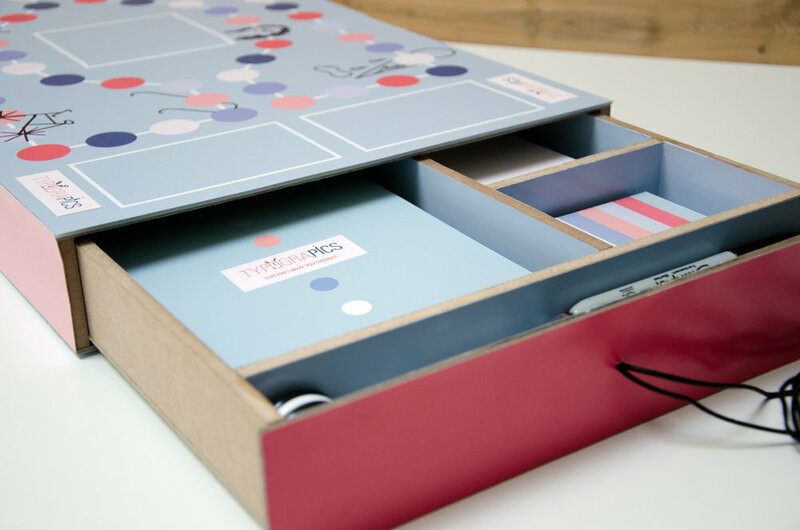 The box unfolds to become the game board. The cards prompt the players to morph letterforms into things and people — giving a new life to the forms we see everyday.